Gloucester, famous for its medieval architecture and majestic cathedral, is situated in south west England close to the Welsh border. It is the county city of Gloucestershire and was founded by the Romans in AD 97. Gloucester has a population upward of 123,000 living in the city, increasing to 149,000 in the extended urban area. There are approximately six funeral directors in Gloucester, with both national and family-run independent firms serving local clients. Many of these are within five miles of the city centre. With a broad diversity of faiths, and a large percentage of non-religious people making their home in Gloucester, it should be relatively easy for clients to find a suitable funeral director in Gloucester with experience arranging many different types of funeral service. Gloucester Council runs a crematorium and two cemeteries. Gloucester Crematorium, spread over 65 acres, is to the south east of the city centre on Coney Hill Road; it includes an integrated cemetery, a garden of remembrance and access and facilities for the disabled. Gloucester Old Cemetery is located relatively close by on Cemetery Road. 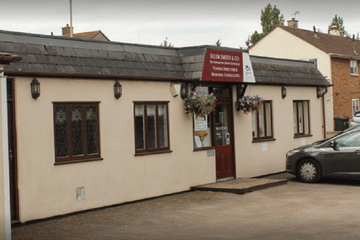 Search for local Gloucester funeral directors now to see funeral homes near you. You can filter search results by best rated, most reviewed or nearest to you. Click on a funeral director’s listing to see their profile page, where you can read independent customer reviews, search for recent obituaries, and learn more about the funeral services they can offer to you.